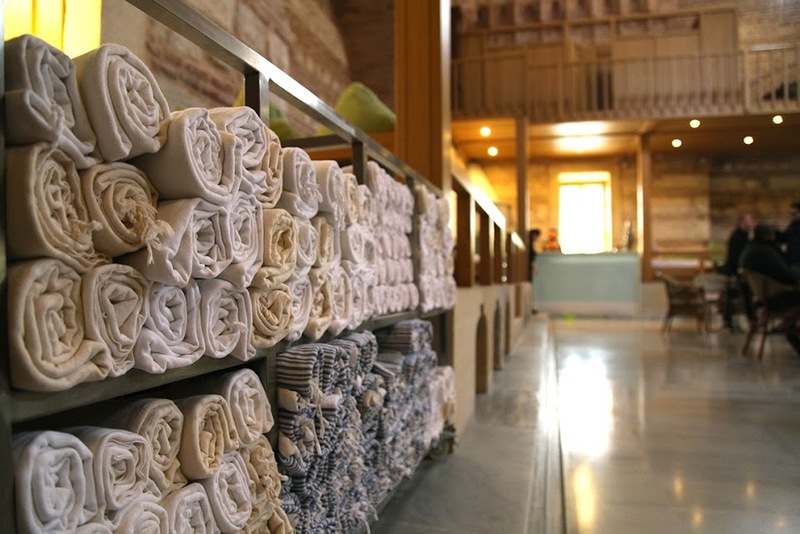 If there are must-do things for cities, visiting a hamam would rank in the top three for Istanbul. 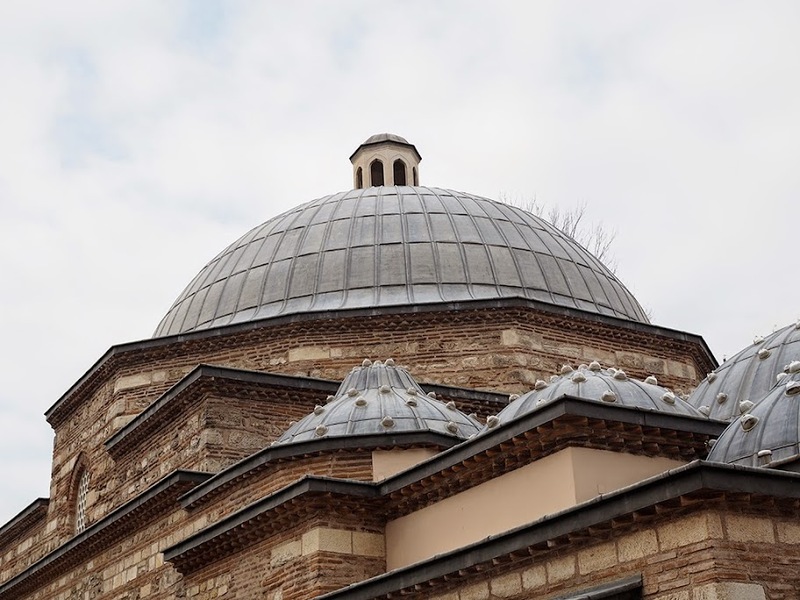 In old Turkish movies, a hamam is often represented as the ideal spot for mothers check out potential future daughters-in-law and a gathering place to catch up on gossip while eating dolmas. 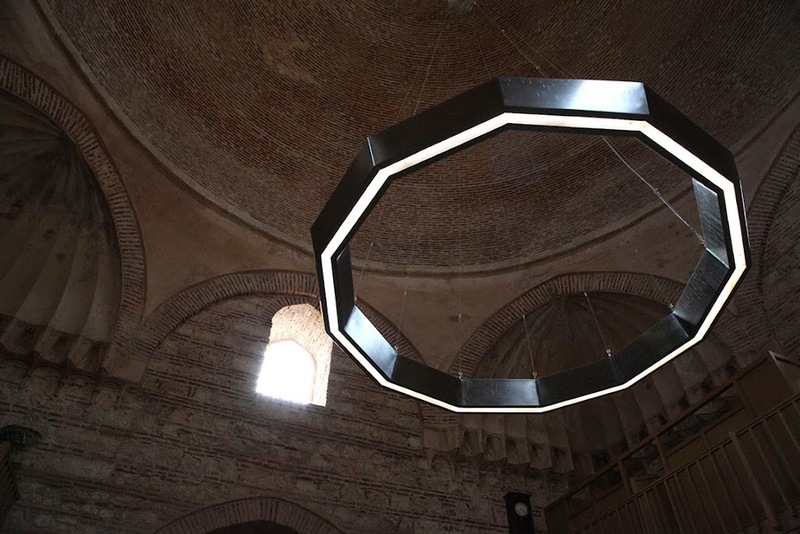 This rather unique representation of a hamam is pretty far from today’s reality; today’s hamams are not very different than a modern day spa with the exception that they are usually in historical buildings with incredible architectural details and an atmosphere unlike any other. 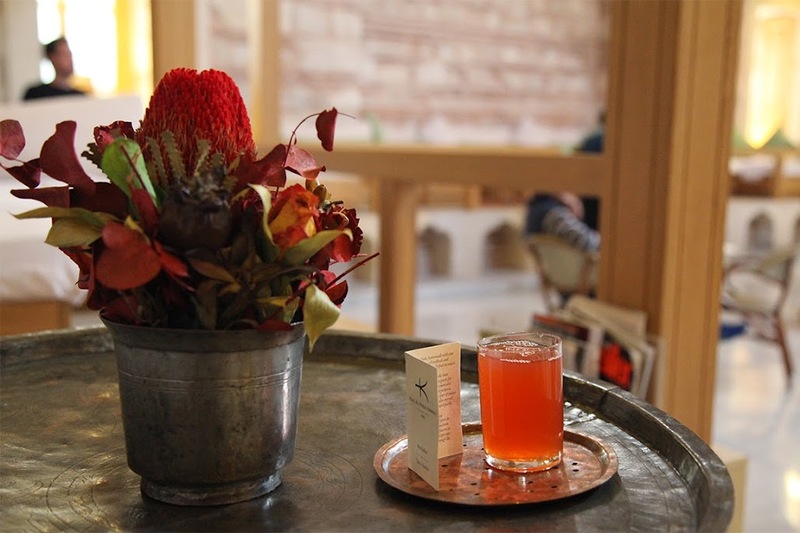 Locals always insist that visitors get a hamam treatment but they rarely go themselves. 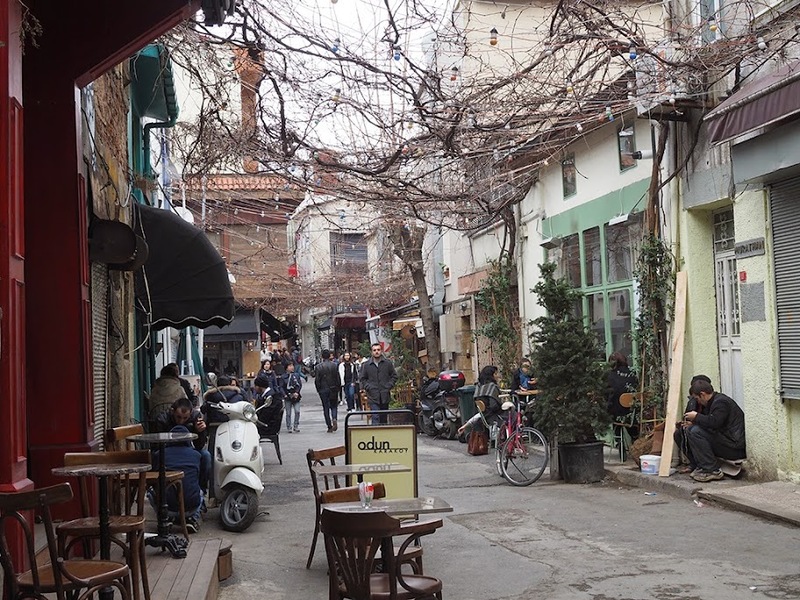 Having moved back to Istanbul after a decade-long stint in the US, I needed to remember that I wasn’t much different than a tourist, and that some days I needed to experience my city just like they did. Why didn’t I also go to a hamam and got myself a kese and köpük? Was I too cool? Definitely not; and I really wanted to be soaked in warmth and bubbles while somebody pampered me. So this particular Sunday, I gave myself the permission to do just that. When it comes to hamams, Istanbul offers many options from small neighborhood joints to well-known ones in the historical peninsula. 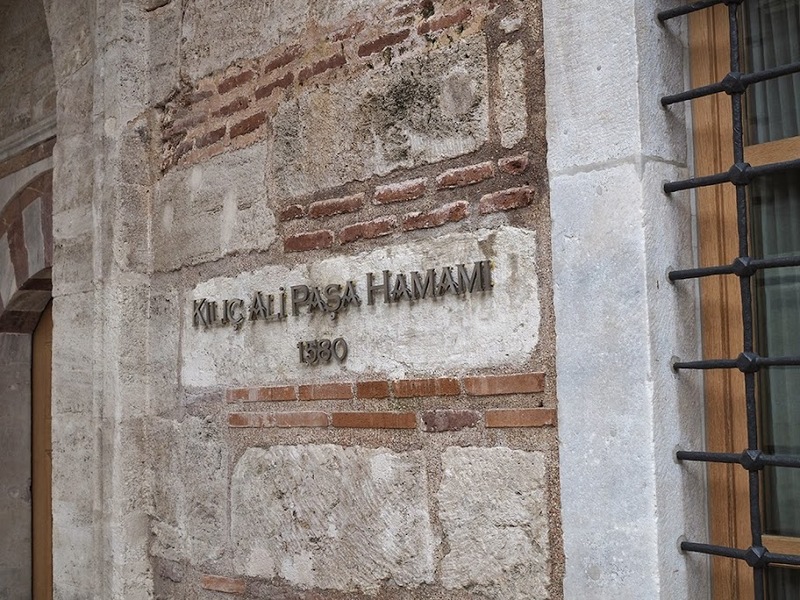 I had heard about Kılıç Ali Paşa Hamamı; it was centrally located in Tophane and recently renovated. I also had a nostalgic attachment to Tophane from my high school years at Lycée de Saint Benoit. So the decision was already made for me; experiencing the familiar neighborhood with a new perspective was exactly what a re-pat needed to do. I booked my appointed and patiently waited for Sunday to arrive. When the morning rolled around, I excitedly rushed out of my house only to arrive to the hamam an hour too early. I knew I didn’t want to eat or drink before my treatment, therefore killing time with a cup of coffee wasn’t an option. 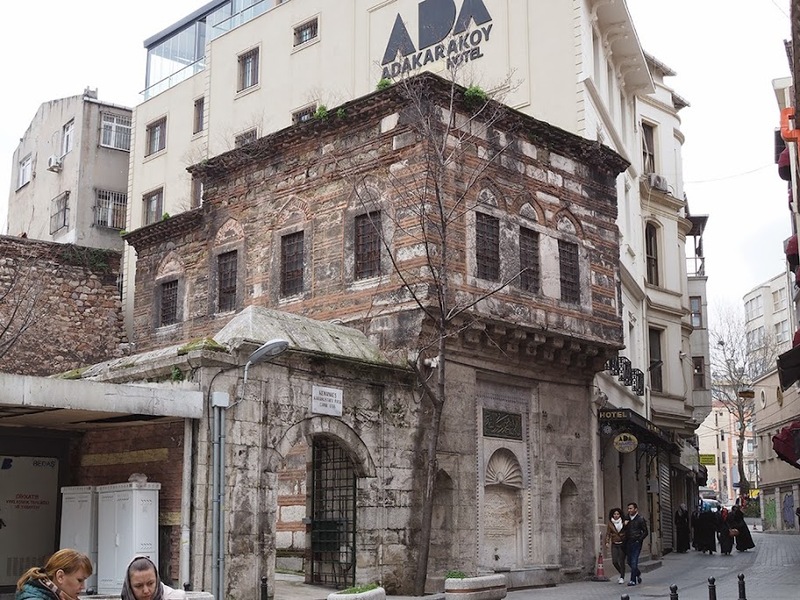 With time in my hands, and the knowledge of a future scrub awaiting me in a 16th century building, I decided to wander through the streets of Karaköy and look for historical structures. I wanted to actually notice the old churches, passageways, unknown buildings and acknowledge their presence in this rapidly changing neighborhood. 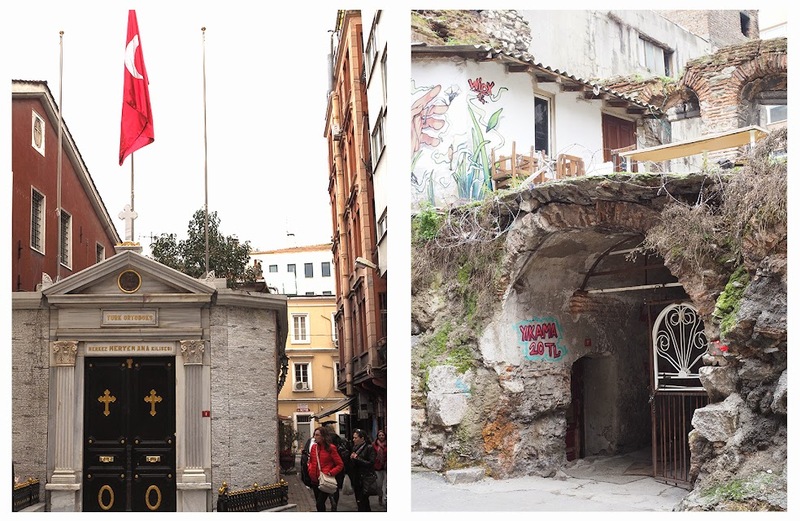 Starting from the bottom of Galata Tower, I took the Camondo Steps to head towards Karaköy. 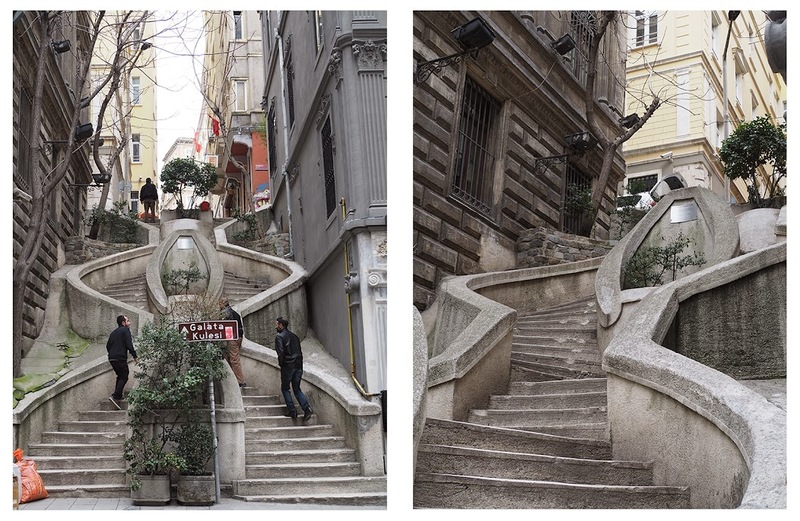 The steps are a mix of Neo-Baroque and Art Nouveau style, built in the 19th century by Abraham Salomon Camondo, a prominent Jewish financier and philanthropist living in Istanbul. 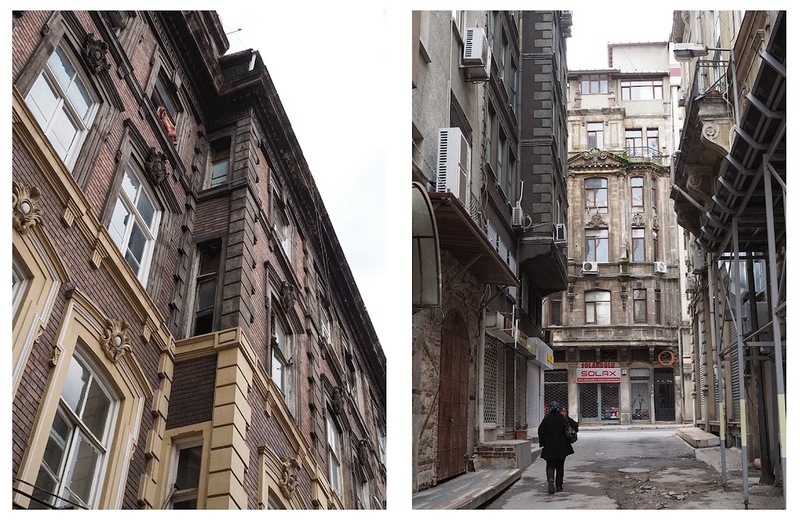 From Bankalar Caddesi I walked through Perşembe Pazarı and on the way saw a bunch of old buildings right and left; some still in use and some with chained doors. 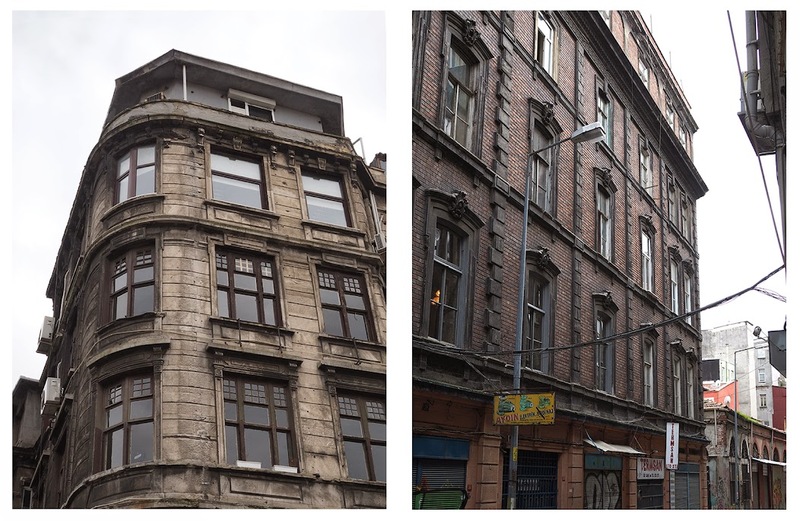 Buildings I noticed during my walk through Perşembe Pazarı and in Karaköy. 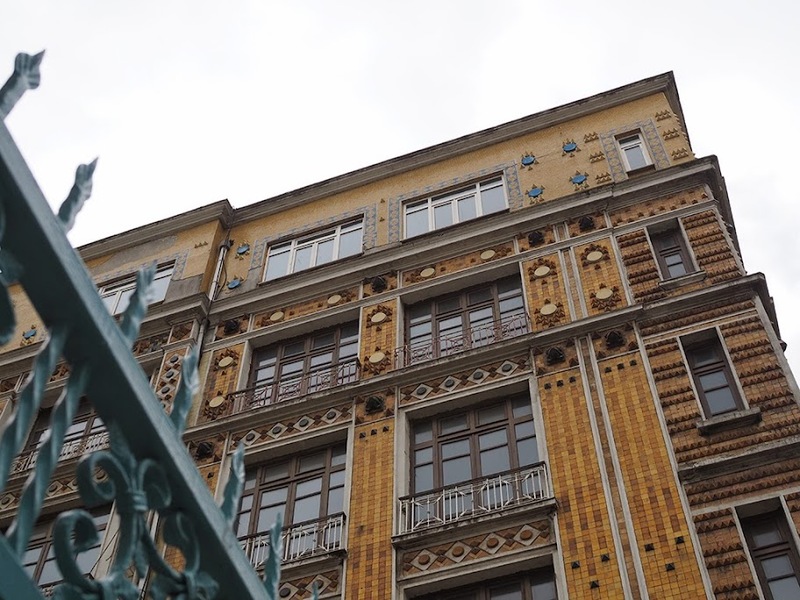 Karaköy Palas; built in 1910 by Levantine architect Guilio Mongeri. Today it is home to Halkbank and Yapı Kredi Bank. The Turkish-Orthodox Virgin Mary Church just a few steps away from the hip restaurant Unter, still operates and accepts visitors every Sunday for a morning mass. It is a small but charming church in the neighborhood. 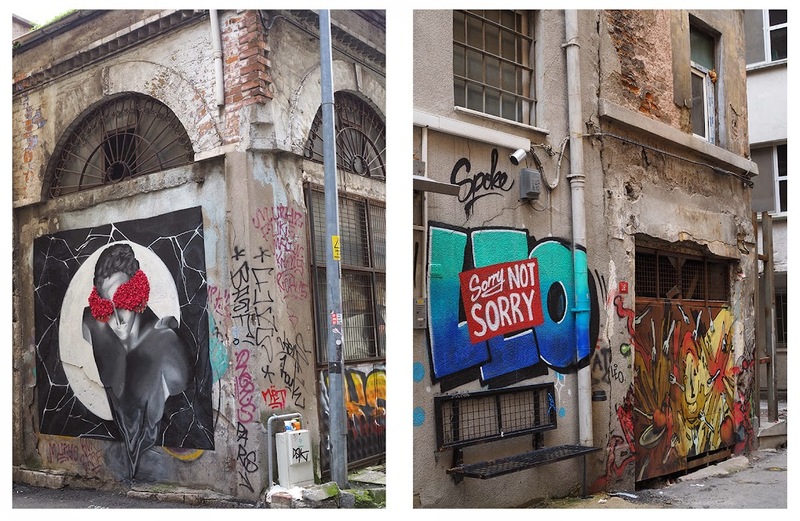 As I kept walking further into the side streets I started noticing many more historical structures that were now the perfect canvases to street art. 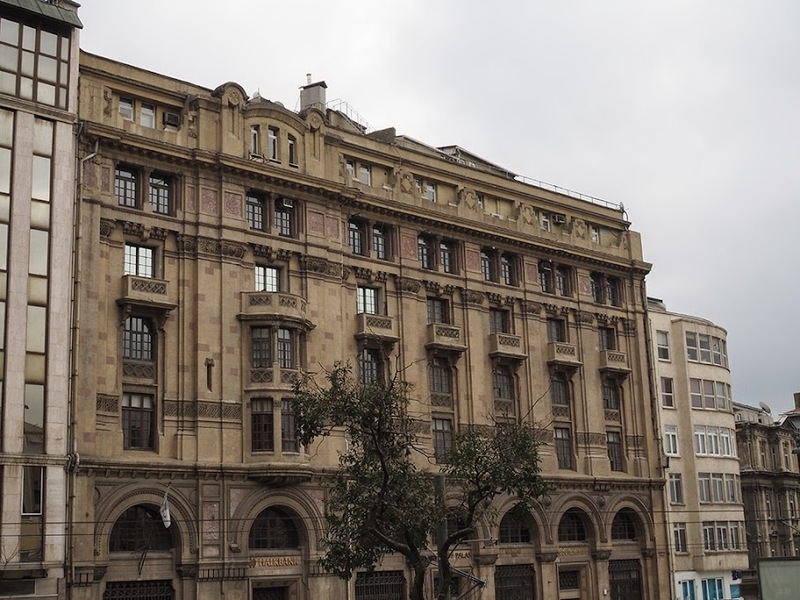 The famous Karaköy Lokantası is located in the building that was once the consulate of Estonia in the late 1930s, across from it is another impressive structure that operates as a customs building. When my watch showed 12:45, I headed to Kılıç Ali Paşa, anxious get start my few hours of pure bliss. 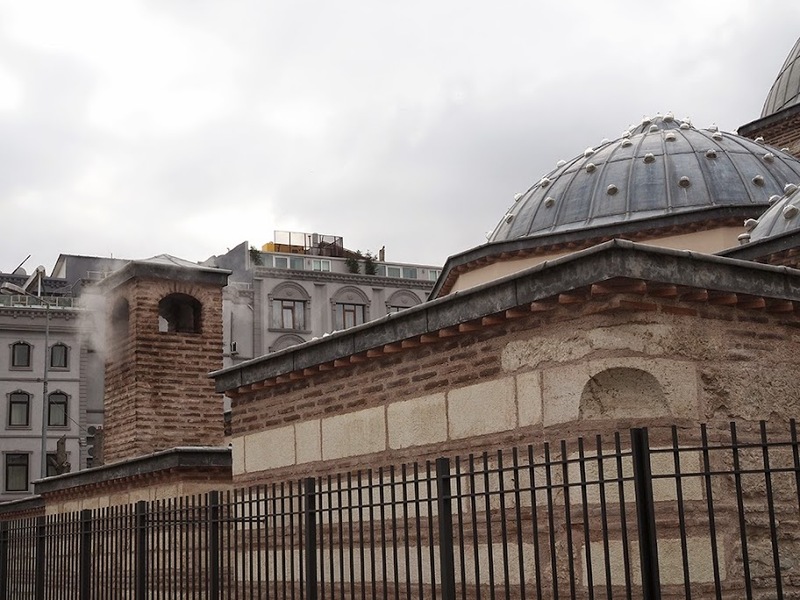 Kılıç Ali Paşa Mosque and Hamam has an impressive history. 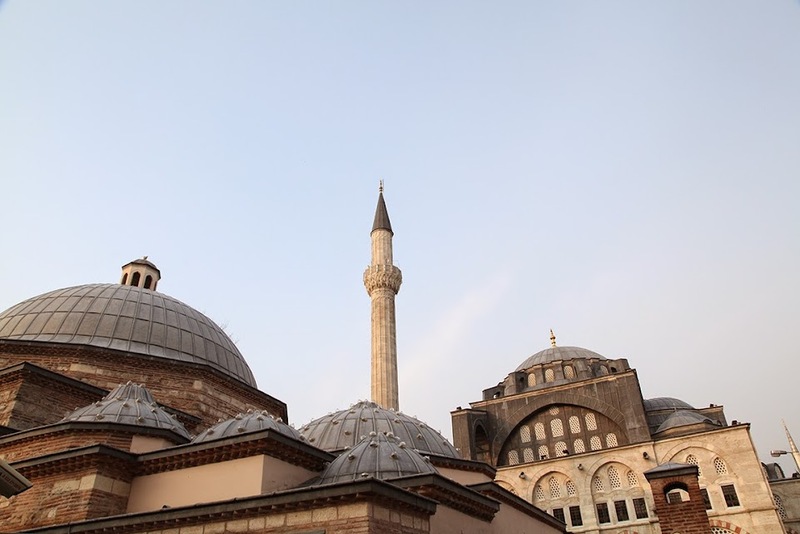 Built between 1578-1583 to serve the marine forces of the Ottoman Navy by the great architect Sinan, the structure is famous for its architectural lines and magnificent dome, considered among the largest hamam domes in Istanbul. As I walked into camegah, the lounge area where you can relax after your treatment, I was greeted by a warm welcome and a delicious homemade sherbet. While sipping, I noticed the look on the lounging women’s faces; pure bliss. Soon that was going to be me. After wearing my peştemal, the traditional hamam cotton wrap, I was accompanied to the main area. As I walked through the doors, steam and warmth wrapped my body, immediately causing an involuntary smile. 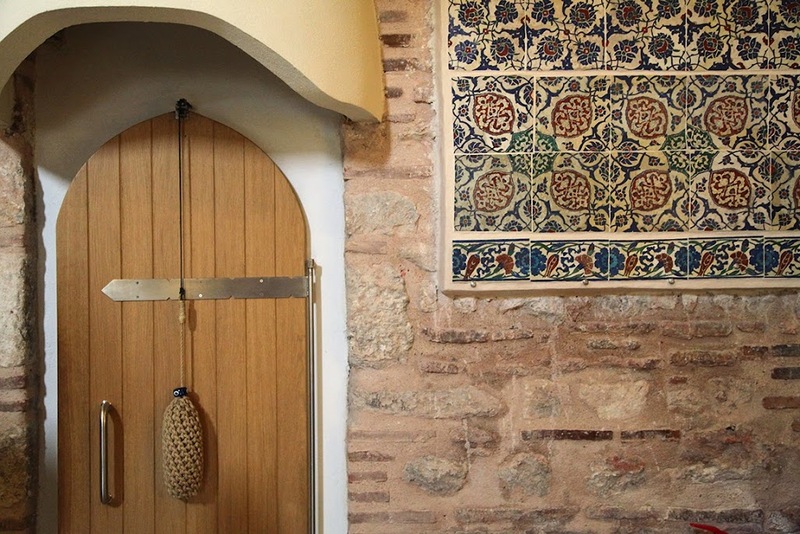 When you enter a hamam, you’re often unsure of where to go and what to do. 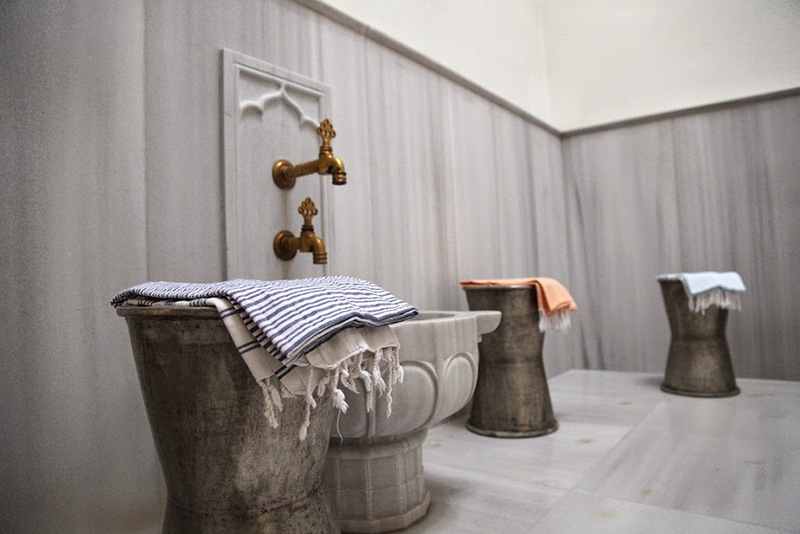 So forget about your ego and allow your natır or tellak, hamam attendant for women or men respectively, do whatever they need to do; unwrap your towel, soak you in water, re-wrap your towel and guide you throughout the space. First I was ushered into a small side section where bowls of hot water were poured over my body to warm me up. Then came the göbektaşı. 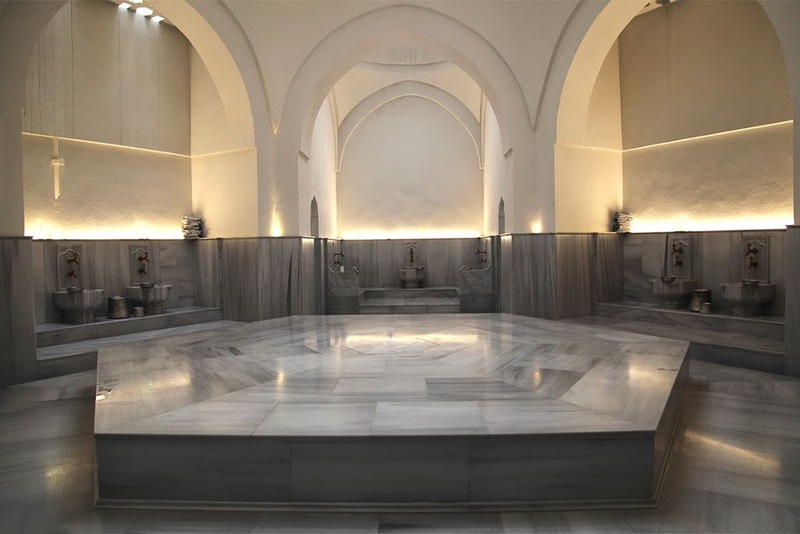 This is the large heated marble area that is always at the center of the hamam where you need to lay down for at least 15 minutes to let your skin to loosen before the kese treatment. While laying down on the göbektaşı I discovered a fun game. As the steam rose and water drops that formed on the ornate ceiling started falling onto the floor, I tried to follow each falling drop and guess whether or not it was going to hit my body. I wondered how many people were doing the same thing, probably not many. 15 minutes later I was shown the kurna, a marble sink, where my natır (bath attendant) Kadriye started the kese and köpük, scrub and bubbles. As the dead skin left my body, I instantaneously felt cleaner. The the fun came, bubbles. A fabric in the shape of a pillow case is dunked into the soapy water, swirled around a few times to create a huge mountain of bubbles and poured all over you. At this point a very interesting feeling came over me; I felt just like a child being given a bath by her mother. I don’t recall being scrubbed by my mother like this, but there was a very innocent and vulnerable feeling to seating half naked and being washed by a woman. Bubbles were the cherry on top. 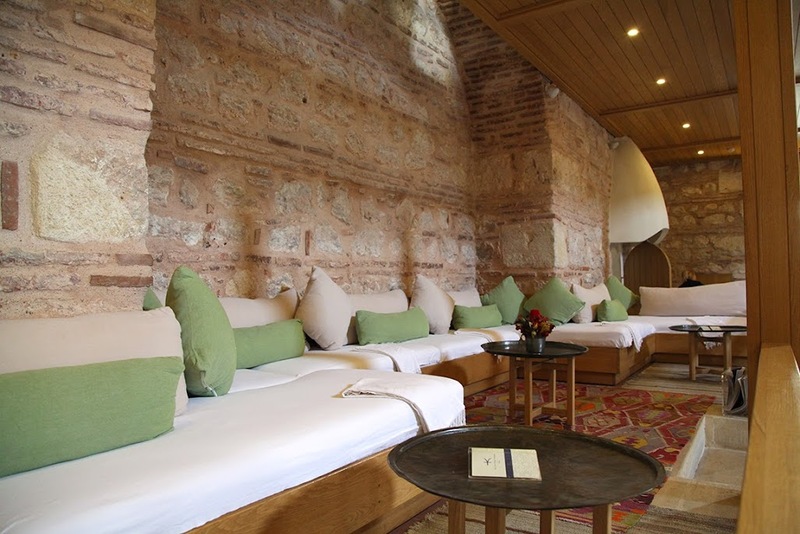 After your treatment you can continue laying down on the göbek taşı and take a little nap, choose to have a massage in a private room, or move to the lounge area and order yourself a cup of tea while relaxing on the couches. I chose to lay down for almost half an hour and doze off since I had no need to rush. I was having a great time with my skin soft like a baby’s bum, with a faint sound of women chatting and laughing in the background. I was in fact witnessing my body relax in real time. When I had enough of the warmth, I headed to the camegah and kicked my feet up on the comfortable couches. As if I wasn’t relaxed enough, I spent another half an hour here flipping through magazines and sipping my ayran. I wanted to slow down time and wished that these few blissful hours never ended. This was another Sunday to be spent, and I’m glad I did something out of the ordinary. This was a day for me to appreciate what I was surrounded with and opening my eyes and heart to new experiences. It was like spring cleaning, but for my body and soul.